I didn’t do my two usual favourites posts in February, basically as I didn’t have enough things that I’d been loving that I hadn’t already talked about. So, I thought I’d just do one favourites post now; combining all my beauty, fashion and lifestyle favourites from the last two months. Normal service will resume in April. Let’s start with beauty, as we all know that it’s my favourite category. I’m very fussy with perfumes, as you know, but I’ve found another one that I love (and that doesn’t give me migraines) to add to my collection. 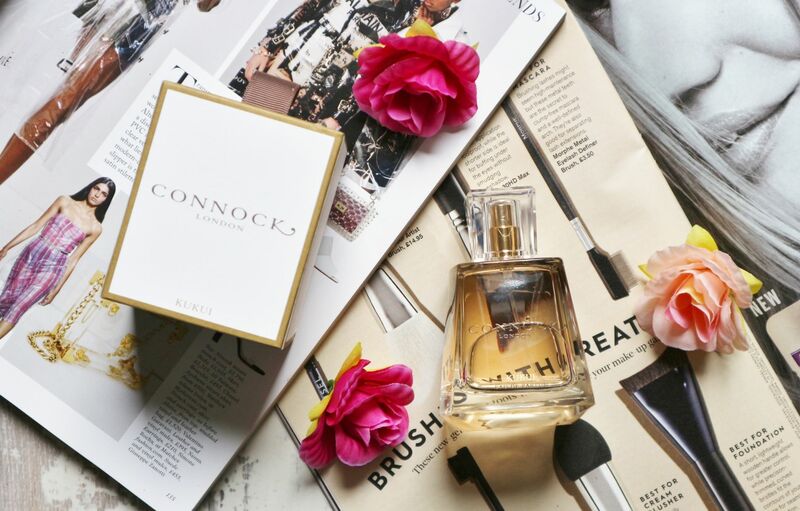 The luxury Connock London Kukui Eau de Parfum* (£75 from Connock London) is their signature scent, and its a perfect one for summer, or for those in climates like ours, who are constantly dreaming of summer. It has a sweet tropical floral scent and is designed to reflect the beauty of the Hawaiian Islands. The principle scent is Gardenia, but it also contains Italian Bergamot, Moroccan Rose, White Jasmine, Calla Lily, Sandalwood, Vetiver, White Amber, Vanilla Absolute and Tonka Bean. It’s quite a musky scent that reminds you of hot summer days in far-off locations. I’ve had such a bad cold for the last two weeks, and it has made my already chapped, dry lips, even worse. 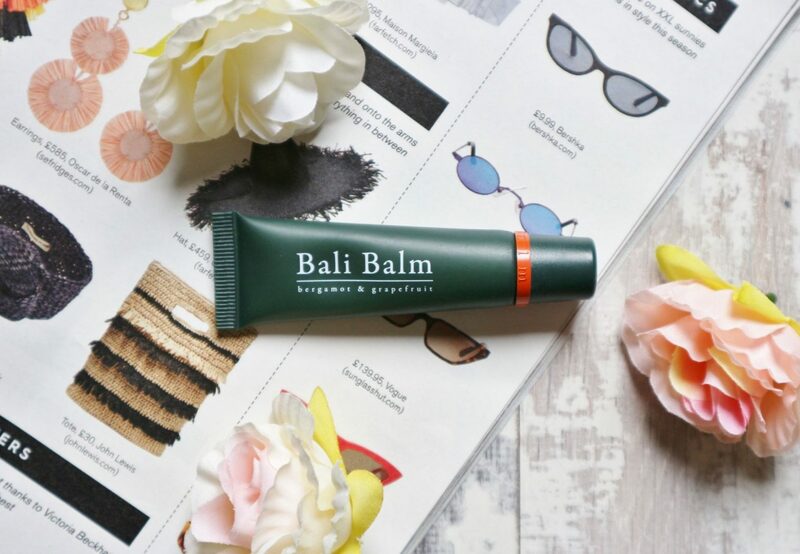 The Bali Balm in Bergamot and Grapefruit* (£19.99 from Bali Balm) has completely saved me. The thick waxy formula of this is so moisturising and conditioning on the lips, and it smells and tastes fabulous. £20 may seem a lot of money to spend on a lip balm, but you really don’t need to use a lot of this at a time, so it will last quite a while. It contains 100% natural ingredients, is produced in Bali and is made up of Coconut Oil, Castor Oil and Kukui Nut Oil, combined with Candelilla Leaf Wax and Sugar Cane Extract. Bergamot and Grapefruit is a real mouthwatering, fresh, citrus-y flavour. I love the ethical mindset of this brand and the fact that their packaging is 100% recyclable too. Another lip balm and lip scrub duo that I’ve been loving, and which greatly improved the condition of my lips, is the BYBI Beauty Lip Buffer and Lip Plumper* (£16 from BYBI Beauty). The scrub’s flavour is so amazing you will want to eat it – sugar, strawberry and cinnamon. It’s a gentle but effective scrub that buffs away dead skin cells so that you can then hydrate and moisturise the skin underneath. The lip balm is moisturising, but it also plumps too – from its peppermint (and blood orange) ingredient. This duo is also 100% natural, Vegan and cruelty-free. It’s great to see such good products from independent brands. There’s also another grea product from an independent brand that I’ve been loving. The ilapothecary Digital Face Mist* (£27 from ilapothecary) is what I’ve been keeping on hand right on my desk. 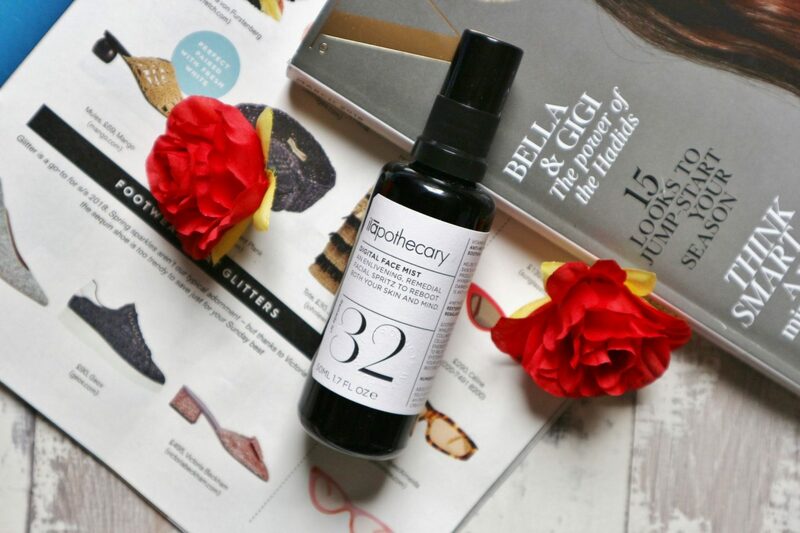 It’s such a reviving face mist that’s perfect for when you’re starting to flag and get tired. This natural spritz is enriched with vitamins (anti-inflammatory Vitamin B12), minerals (soothing and relaxing amethyst) and the Buddleja Plant, which is an antioxident that soothes the skin. The scent is fresh, botanical and uplifting. ilapothecary is all based around numerology and the use of healing, powerful natural ingredients. This product is given the number 32 – which centres around communication and self-expansion, with energy for you to harness your creativity. I can’t wait to explore more from this interesting brand. I get my brows done every month by Benefit – I wouldn’t go anywhere else – but I skipped last month as I couldn’t get an appointment on the days that I was in the city centre. The Real Techniques Brow Set* (£19.99 from Boots) totally saved me. It’s such a handy kit to have on hand if you need to rescue your brows. 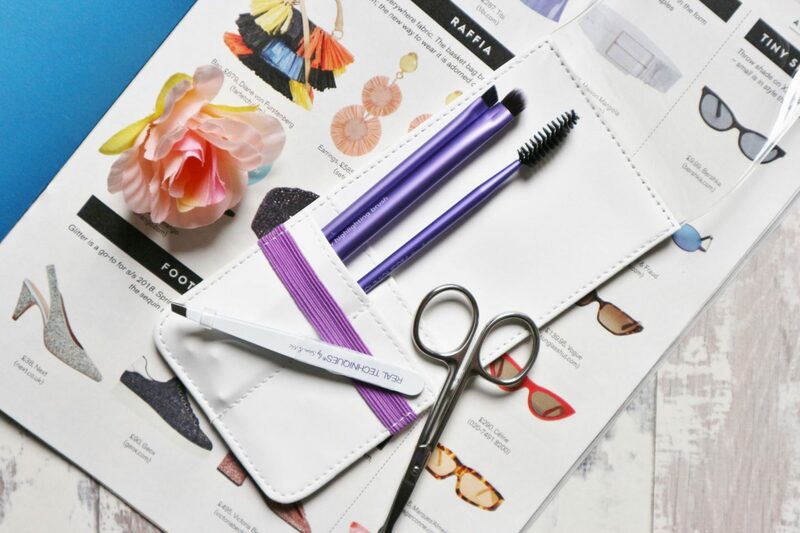 It contains a great little set of tweezers to pluck any stray hairs, perfectly-sized scissors to trim your brow hairs when they are getting too long, a spoolie to comb through your brows, and then two brushes to fill in and sculpt your brows with product. I love that they come in a handy pouch to keep them all together. This should be the brow emergency kit that everybody owns. 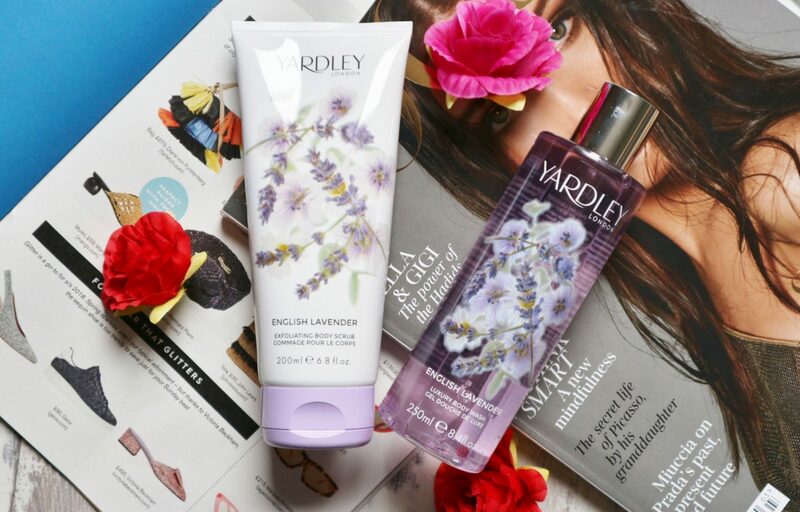 Finally, beauty-wise, I’ve been loving the Yardley Body Scrub and Body Wash in English Lavender, and also in English Rose* (£6.40 and £6 from Yardley London). You’ll all know that I love these two scents from Yardley. I’ve just made a start on these two products in Lavender, but I’ve already finished the Rose varieties. Both scents are so relaxing and I always feel more peaceful after using them. I love the formula of the scrub as its really effective in getting rid of dead skin cells, but it’s very moisturising and nourishing too. It exfoliates via ground walnut shells, and conditions the skin with Shea Butter and Monoi Oil. The body wash is light and refreshing, and it lathers well. It’s lovely to layer the products for a more powerful scent. 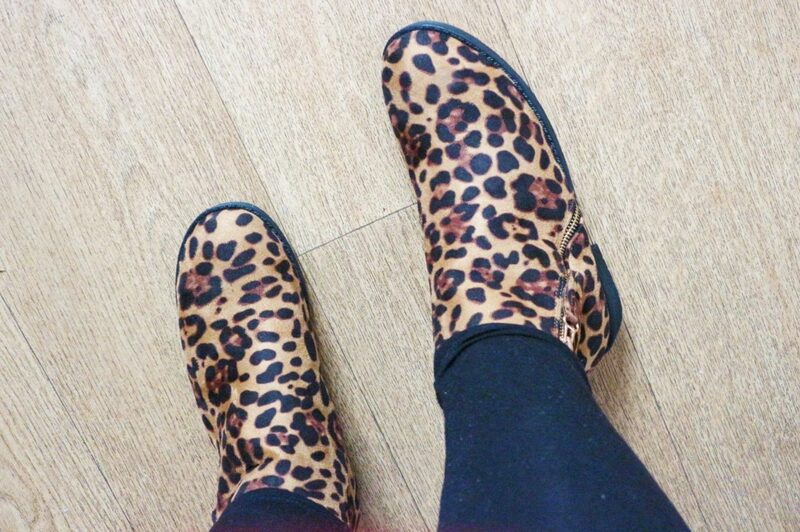 Onto fashion, I’m over-the-moon with the two pairs of boots that I got from XY London. I’ll definitely be ordering some more in different colours. I spotted these and they were so affordable, so I had to try them out. 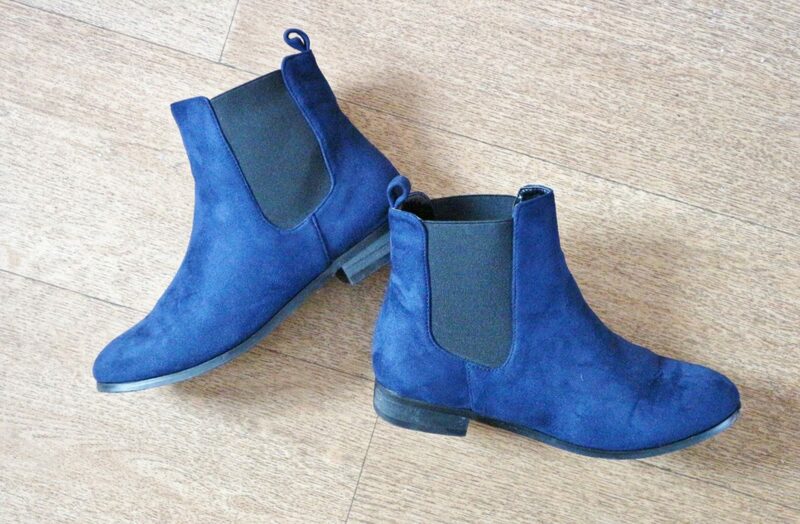 I ordered their blue Kadie Navy Faux Suede Elasticated Chelsea Boots (£19.99 from XY London) and their Nicola Leopard Print Ankle Boots (£19.99). I was really impressed by the quality and sturdiness of these. They look a lot more expensive too. If you are looking for statement boots, I’d definitely recommend that you check the brand out. Finally, I want to share a book with you. This has been my favourite novel so far this year, and it’s one that I can’t recommend enough if you enjoy thrillers. 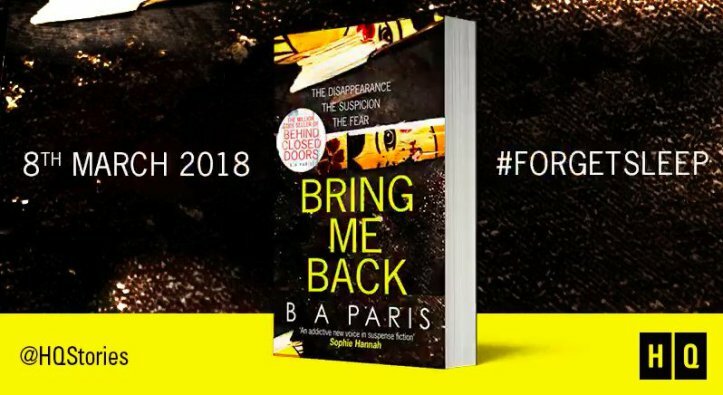 Bring Me Back by BA Paris* (£2.99 from Amazon) was released in March and is a Sunday Times bestseller. It’s about a happy couple Finn and Ellen whose lives are disrupted by the appearance of a tiny Russian wooden doll on the wall outside their house. It turns out that this doll has great significance for both of them – Finn’s previous girlfriend Layla (and Ellen’s sister) went missing a long time ago and was never found, and she had stolen a little Russian doll from Ellen and kept it as a lucky charm. One of these dolls could be explained as a coincidence, but when multiple dolls turn up at their house, in the post and on their car, everything is signalling that Layla is still alive. Things escalate and there are some great twists in the story, as we wonder who is sending the dolls and whether Finn and Ellen are in danger. It’s a gripping book that I read in two sittings as I just couldn’t put it down. You can more of what I’m loving, and what I’m doing, over on my Instagram.